This section is designed to assist home sellers in Northwest Phoenix, Peoria, Peoria, Peoria, Phoenix, Carefree, and surrounding MARICOPA County, AZ areas. Review comps in the area to show you what is happening in Northwest Phoenix, Glendale, Deer Valley, Peoria, Scottsdale, Metro Phoenix Area, and surrounding MARICOPA County, AZ areas. 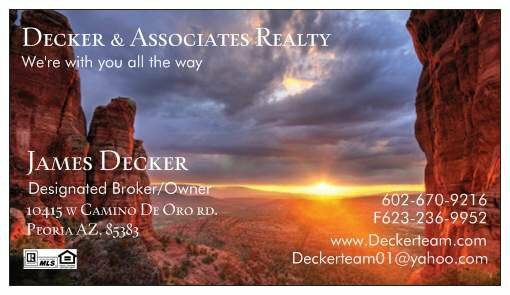 Network with other real estate professionals here in Northwest Phoenix, Glendale, Deer Valley, Peoria, Scottsdale, Metro Phoenix Area, and surrounding MARICOPA County, AZ areas as well as throughout other relevant areas to find the perfect buyer for your home.